Kevin Haeberle managed to escape some early jams in this July 1990 game with Sumter, but he eventually gave up some runs, according to The Sumter Item. He also eventually took the loss, The Item wrote. "Kevin threw a lot of pitches tonight, which is not like him," Sumter manager Ned Yost told The Item. "He pitched himself out of trouble a couple of times, but it finally caught up with him." Haeberle went on to lose 10 games for Sumter in 1990. He also won eight. It was his second season as a pro. It was also his last. 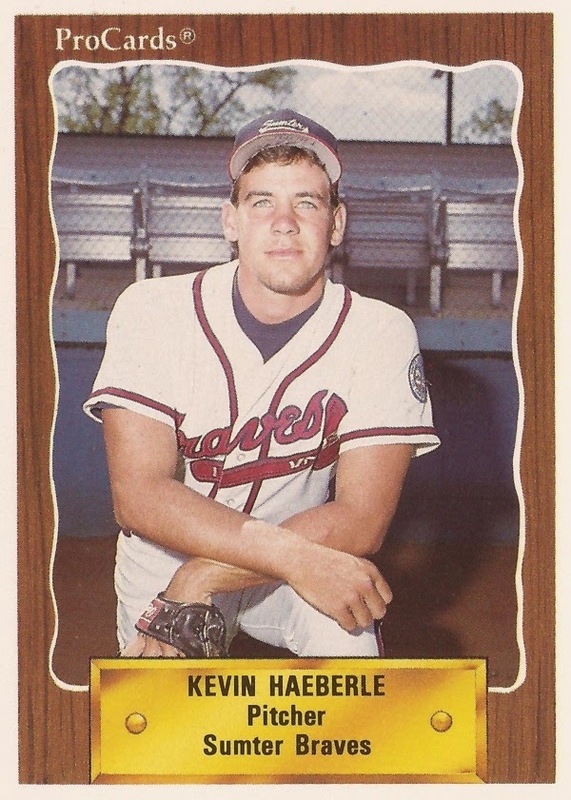 Haeberle's career began in 1989, taken by the Braves in the 51st round of the draft out of Glendale Community College in California. Haeberle started with the Braves at rookie Idaho Falls. He got into eight games there, starting two. He picked up one win and two losses. He also had an ERA of 5.04. At Sumter, Haeberle was nearly a full-time starter. He also came back from off-season shoulder surgery to get into 23 games, starting 21. He picked up his first loss in an April game, giving up five earned in three innings of work. His first win came that month with a six-inning effort. In May, he went seven innings without giving up a run. He also got a no-decision. Haeberle ended with a 3.02 ERA. It was his final season as a pro.